Meristematic - Divides new cells for growth or repair. Ground Tissue - Provides storage, processing and physical support. Dermal Tissue - Protects the plant and aids in nutrient absorption. Vascular Tissue - Moves fluids and food and provides physical support. 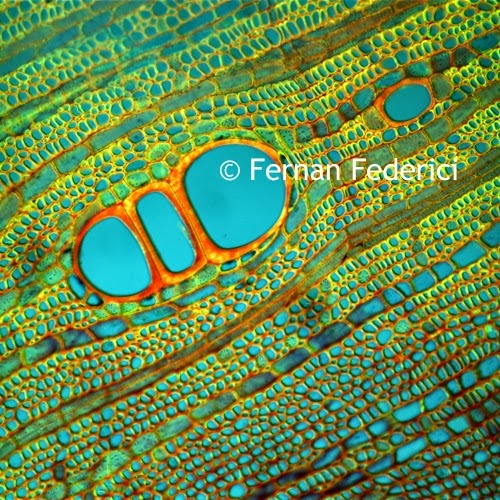 These images of stained plant tissue were captured using a biological microscope by Fernan Federici for Cambridge University. 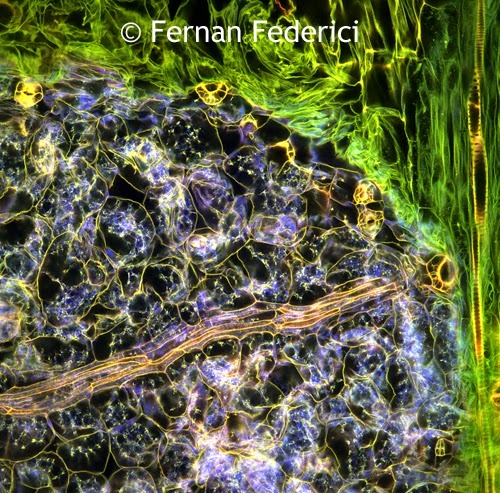 Learn a bit more about plant tissue here.